In partnership with Aish HaTorah, the first Shabbat Across AEPi was hosted in 2011 after the idea was born out of the Hineni Jewish Identity Enrichment Conference at the 98th International Convention in Orlando, FL. The concept was simple: get as many chapters as possible to host Shabbat dinner on the same Friday night. Eventually, Shabbat Across AEPi became a way to honor AEPi’s young Jewish founders and Founders Day in nearly November. This year, brothers can host Shabbat dinner today, Nov. 3, or next Friday, Nov. 10. To access a grant, contact your regional Jewish & Leadership Programming Associate. Brothers can also honor the Immortal Eleven by taking the Founders Challenge between now and Tuesday, Nov. 21. 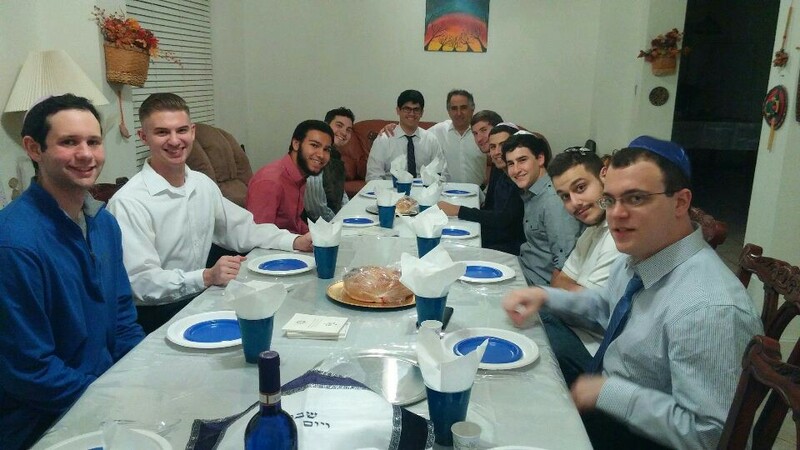 In 2016, the Psi Phi chapter at the University of South Florida and the Tau Alpha chapter at the University of Tampa hosted their Shabbat dinner together at the USF Hillel Center. “Shabbat Across AEPi brought our two chapters closer together and left us with a heightened sense of Jewish pride and community,” said Jesse Davidson (South Florida, 2017).